Your Complete Auto Repair specialist. 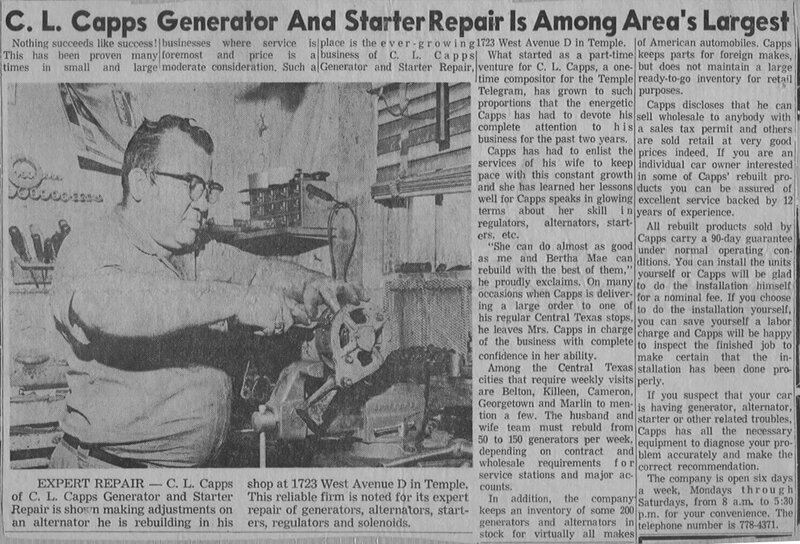 In 1967 C. L. Capps, using experience he had gained from working part-time at Saye's Generator and Starter Repair, started his own business repairing and rebuilding automobile generators and starters. That business, Capps Generator and Starter Repair, has gone through many changes in the last 50+ years. One thing has remained the same, it is still family owned and operated by friendly, knowledgeable, down-to-earth people. In January of 1973 C. L. Capps passed away, leaving the business in the capable hands of his wife, Bertha Mae Capps. With the help of her son-in-law, Wendell Welch, and a few employees, Bertha was not only able to keep the business alive, she enabled the business to grow. Bertha is recognized in a book of Notable Women in Texas for being one of the first women to work and own/operate a business in this field. 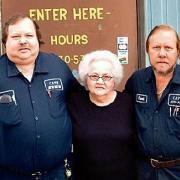 In 1975 Frank and Willie Capps, sons of C. L. and Bertha, started working at the shop. Frank and Willie took on new projects and earned many certifications that helped grow the business into the professional auto repair center that it is today. 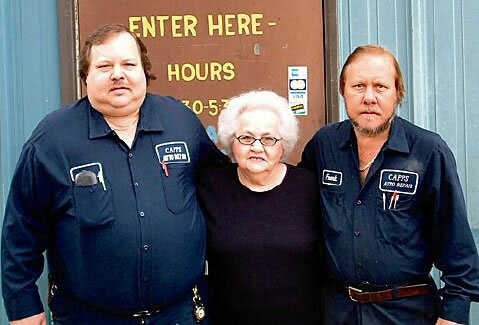 Bertha retired in the late 90's and now Frank and Willie Capps are the current owners and operators of Capps Auto Repair. **Note: Due to construction on I-35, you can only reach the shop from 31st street.